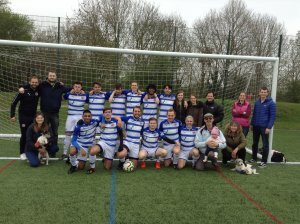 CONGRATULATIONS to STAR sponsored Reading FC Deaf team, who beat St. Albans 4-0 to win the EDG League South. More silver ware on the shelf. Now they are the south’ champions the team have to play the League North winners to decide who is the national champion. Keep an eye on the STAR website for date, venue and result of the final.